Amazingly, the Saola were discovered by the Western civilisation only in 1992, but they’re already endangered, and their numbers are estimated to be below one thousand. They’re found only in Vietnam and Laos, near the border of the two countries. The reason for it’s late discovery is their elusiveness and cautiousness and the ability to move through the forest very quietly. The Saola have a dark brown coat with a narrow black stripe which runs down the spine from the shoulders to the tail. There are white patches on the face, above eyes (representing eyebrows) and on the chin and lips. Their height at the shoulders is about 85 cm and they weigh around 90 kilograms. The most recognizable detail of these animals are their long horns with sharp ends, that can reach up to 50 cm in length and they’re found on both males and females. The Saola usually live solitary lives, or sometimes spend their lives in pairs, swiftly and quietly moving through the subtropical forests and feeding on plants, leaves and herbs. Most knowledge about their lifestyle have been made observing a single Saola female in a zoo. Encountering a Saola in the wild happens very rare. Not much is know about the mating of these mammals, but the gestation period is estimated to be about 33 weeks, judging by other similarly sized mammals, the age at which the Saola reach sexual maturity and their lifespan are unknown. The mating rituals of the Saola have not been observed, as there’s so few of these animals, but it’s suggested that their impressive horns are used in fights between males during the mating season. The population of Saola seems to be in great danger, mostly because of the hunting pressure, that thins the already low number of these animals. Only 18 years after being introduced to the Western society, the Saola are on the brink of extinction. Actions are being taken to conserve these peaceful forest mammals, as they’re a unique species, that have no physically similar animals. 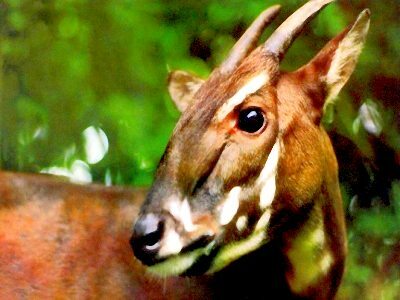 WWF is helping the government of Vietnam develop a plan for conserving the Saola, as well as plans are being made for breeding the Saola in zoos, in order to increase their number. This might prove to be difficult, as so few of them are alive, that catching them might be near impossible. Another fact is that the Saola don’t seem to be suited to living in captivity – in 2008, thirteen Saola were captured, but none of them survived for more than 5 months. 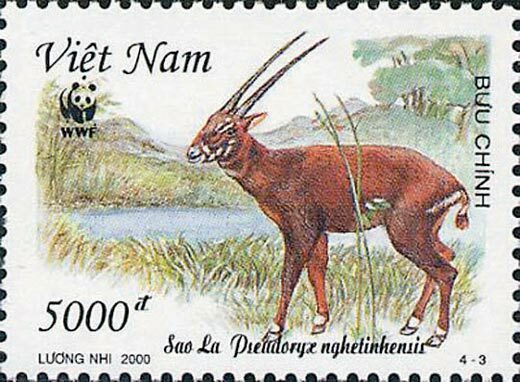 In order to preserve these majestic creatures, poachers must be more severely controlled in Vietnam and Laos, because as of now, the number of Saola in the wild is still decreasing, as many natives use their meat in diets. Hopefully, in the nearest years, appropriate actions will be taken and the future of Saola will look brighter than now.